Mill Creek Marsh: Poultry in Motion! Greg Miller saw this chicken at Mill Creek Marsh yesterday. 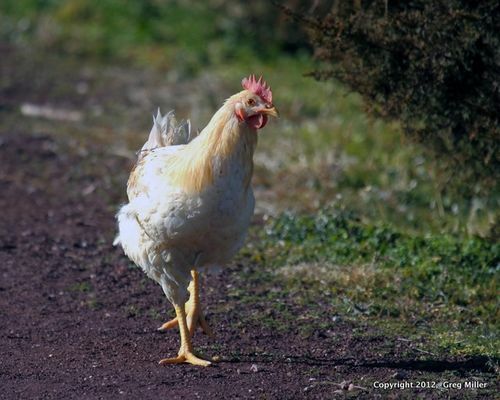 We are thinking it is an escapee… Click here for more on "Poultry in Motion" (We may have spelled it wrong). Jim Wright, who maintains this blog, also writes a twice-monthly column for The South Bergenite. Here is the latest — on the Great Backyard Bird Count. 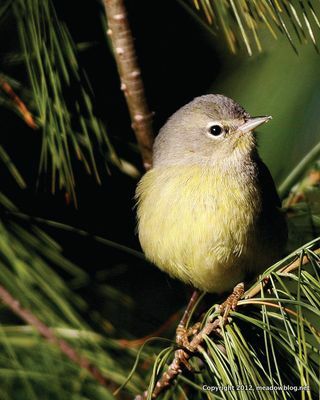 Although the name of this column is “Nature Next Door,” today I’d like to talk about nature even closer to home, and how you can participate in a great citizen-science project called the Great Backyard Bird Count – or GBBC for short. This four-day nationwide event, sponsored by National Audubon and the Cornell Lab of Ornithology, begins next Friday, Feb. 17. I have participated for several years, and it’s simple. All you have to do is look out your window and count the number of species you see, as well as the number of birds for each species — for as many days as you like — and enter your results through the GBBC website (link is on the jump). You can spend as much time or as little as 15 minutes a day. I have just two suggestions — make sure your feeders are filled, and enjoy yourself. The event is for birders of all levels, so don’t feel like you can’t contribute.